The study of Law forms a component of many undergraduate and postgraduate programs. Its inclusion does not aim to equip business practitioners with skill and expertise to render professional legal advice unnecessary, but more to provide a legal framework of reference in which both strategic and more immediate business issues can be placed. Equipping managers with a basic understanding of how law impacts upon business activity can help them avoid legal pitfalls in the first place or at least identify potential problems at an early stage, to avoid inconvenience and cost. 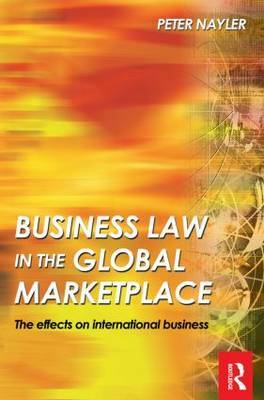 International business can present problems that are not present in a purely domestic transaction. Any law component in a management program should embrace it and by doing so the business practitioner can be familiarized with the wider picture in which modern business, aided by technological development, is increasingly practiced.